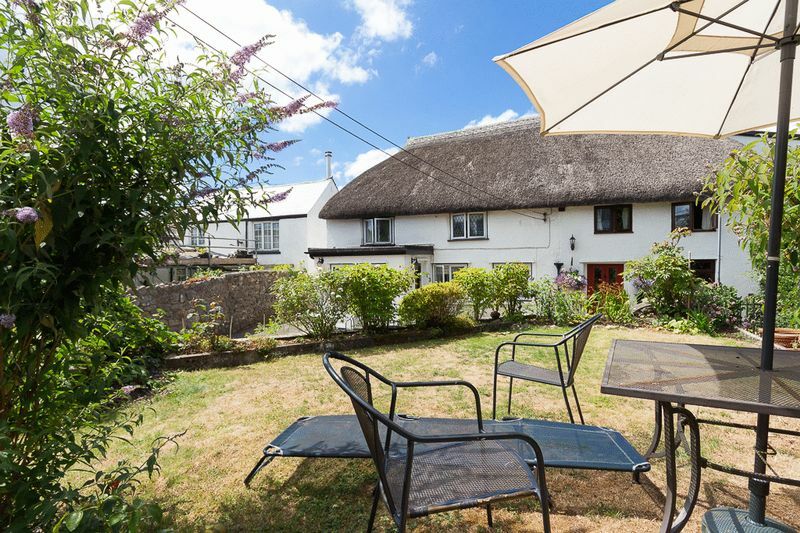 A beautiful, tucked away TWO DOUBLE bedroom thatched cottage bursting with character located off one of the oldest streets in Chudleigh. 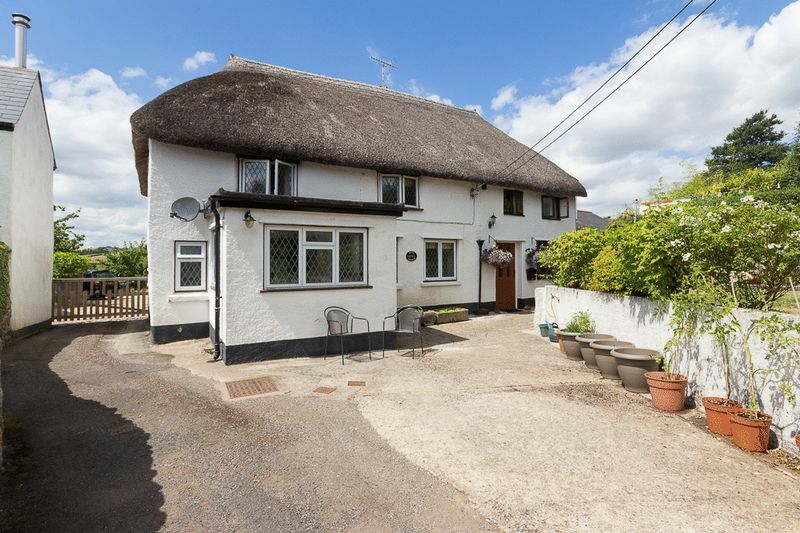 This property has lots to offer after undergoing recent refurbishment, good sized living space, and a pleasant, well looked after lawned garden with established borders. 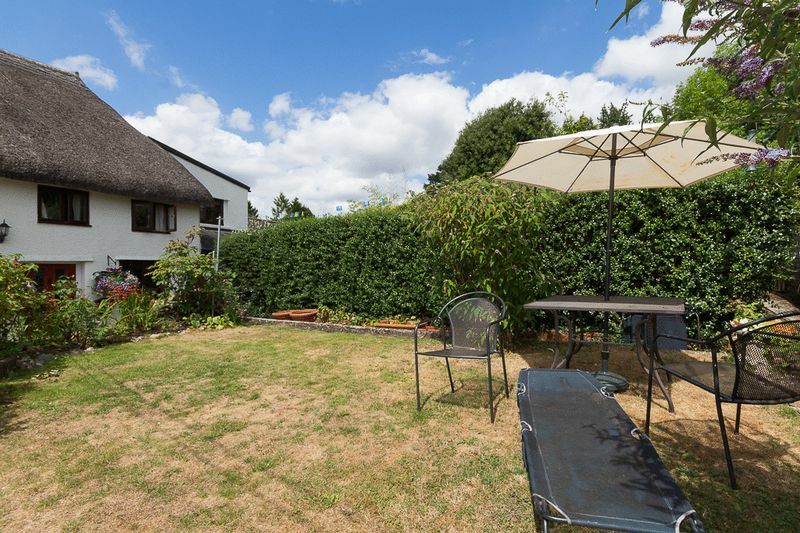 All within a short walk to the town centre and its amenities. Viewing is highly recommended to appreciate all this property has to offer. 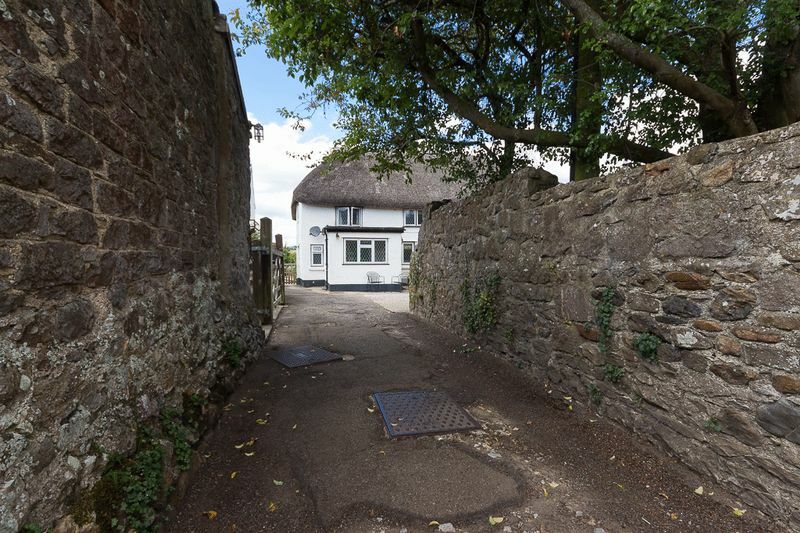 The property is accessed via a narrow access lane off Old Exeter Street, sweeping around to the tucked away cottage. 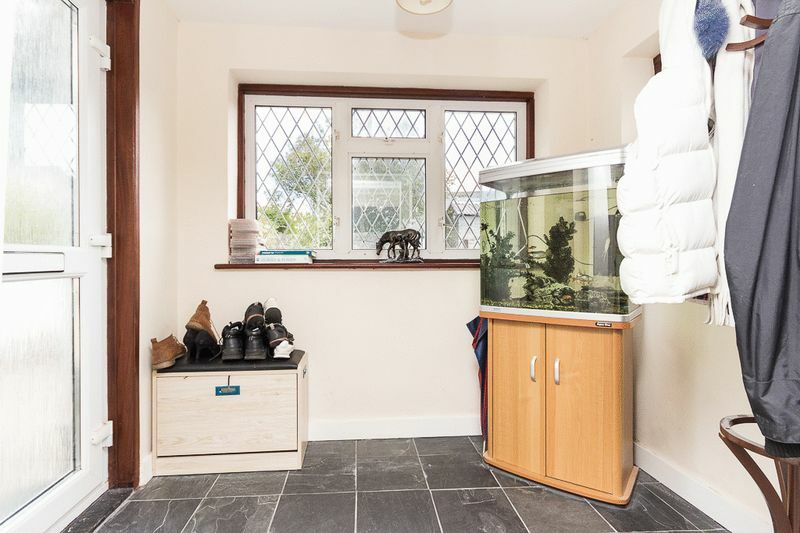 You enter the property into a light and airy entrance porch with windows to two aspects with plenty of space to store coats and muddy boots from all the wonderful walks nearby! This area could also lend itself well to being used as a study area due to the space. There is also a downstairs WC accessible from the entrance hall. 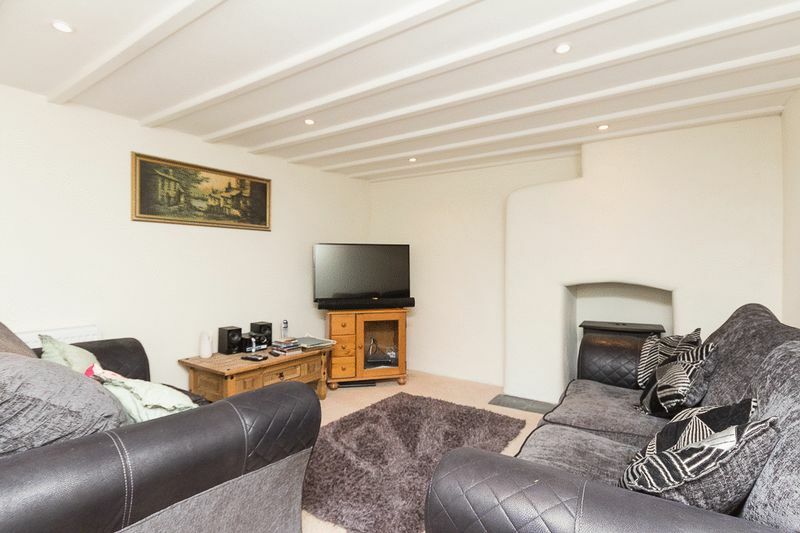 The large sitting room is neutrally decorated with ceiling spotlights and benefits from some great character features with a beamed ceiling, curved walls, a window seat and attractive fireplace to the rear aspect giving the room a real focal point. Two windows to the front allow for natural light and a pleasant outlook towards the garden. 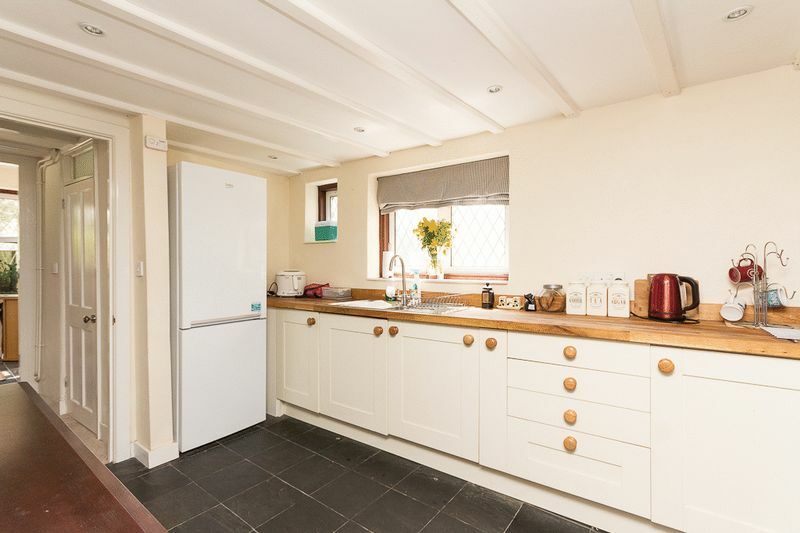 The country style kitchen has been well fitted with a good range of base units with wooden work surfaces over incorporating a 1 and 1/2 bowl sink with drainer and mixer tap. 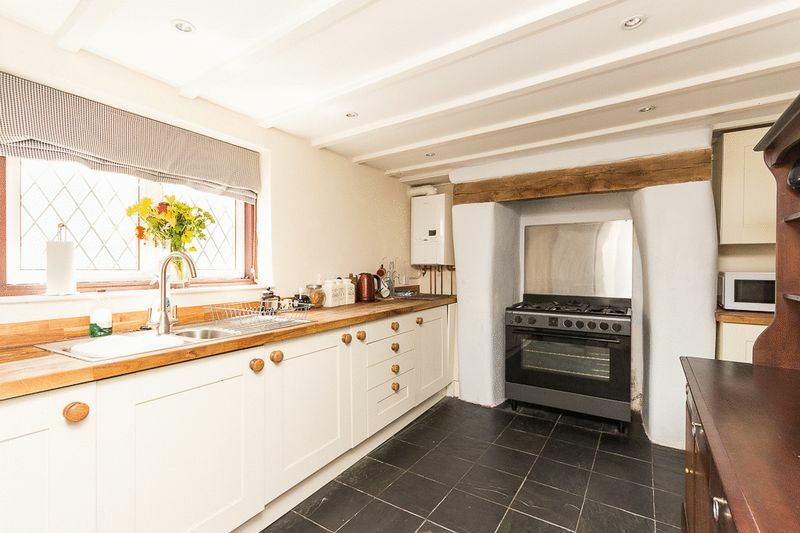 There is space for a range cooker in a former chimney breast and space for a fridge freezer. 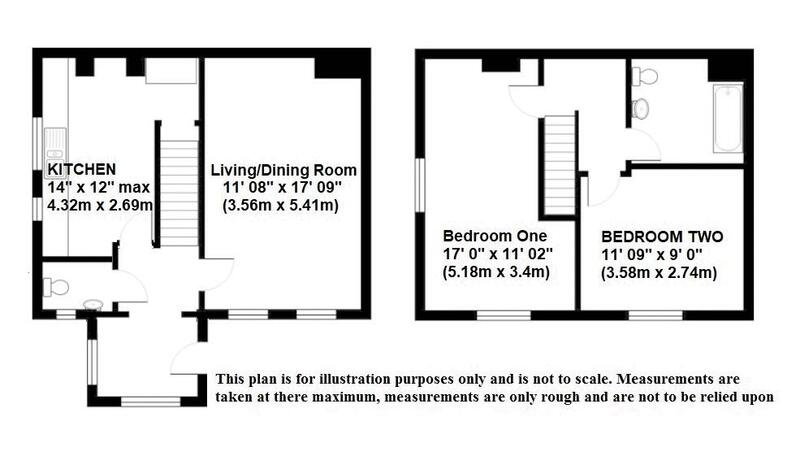 There is also room for a breakfast table or small dining set. From the inner hall, stairs rise to the first-floor landing with a window residing at the top of the stairs with a deep sill perfect for displaying photos and a window seat beneath creating a lovely feature. 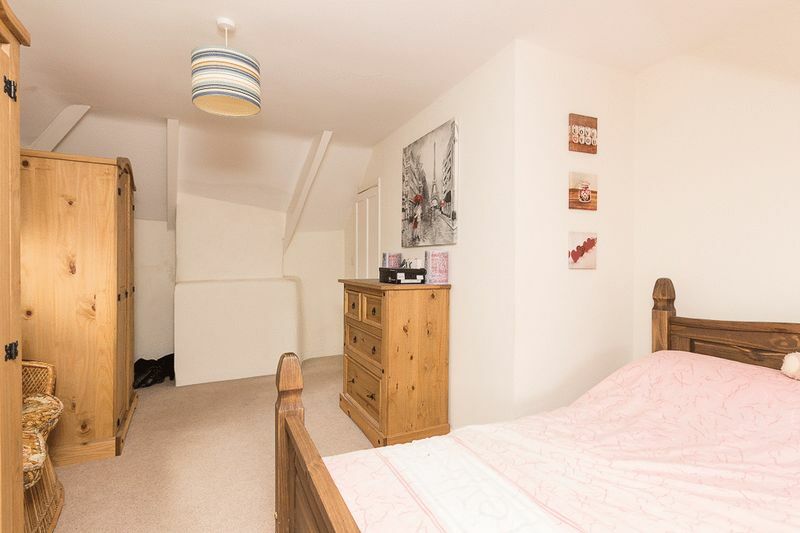 There is access to the two double bedrooms and the family bathroom. 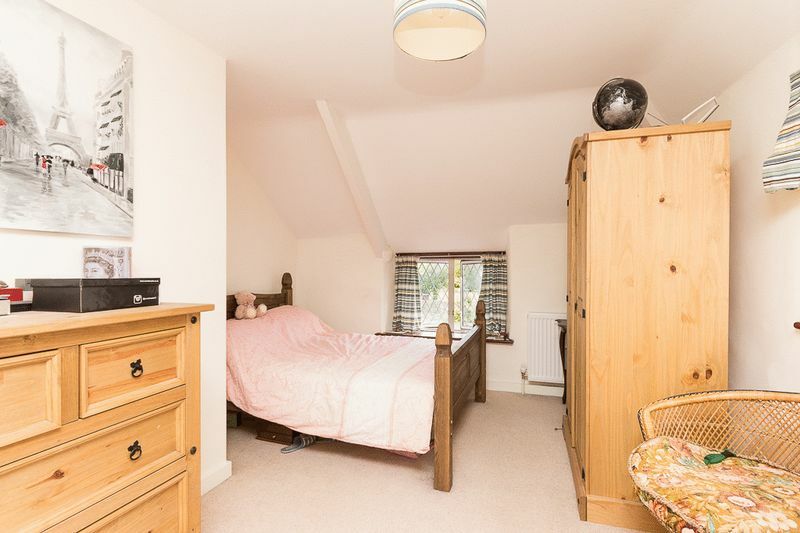 The master bedroom is a large 'L' shaped room with windows on two aspects and ample room for wardrobes and further furniture. 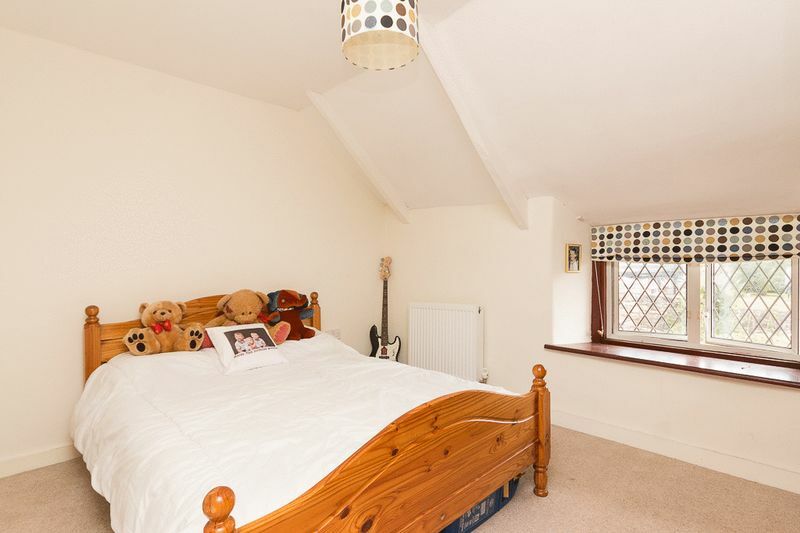 Bedroom two, another double room which has a window to the front offering a pleasant outlook over the garden. 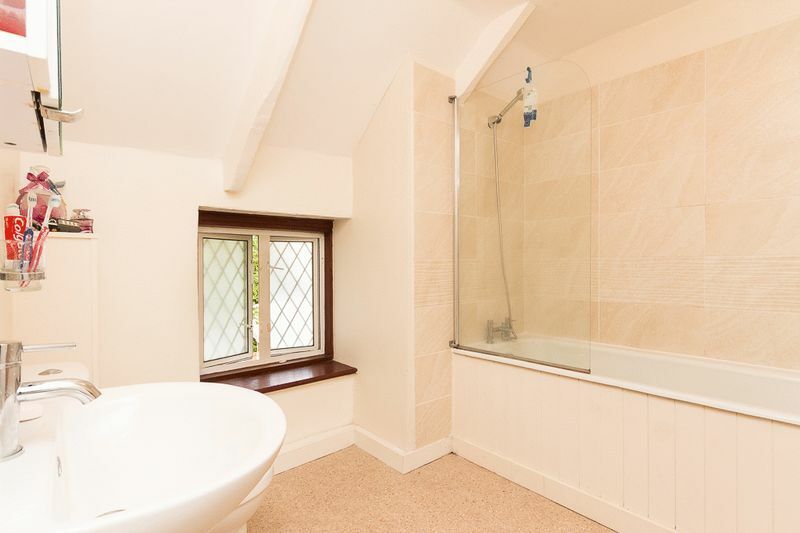 The family bathroom has linoleum flooring, partly tiled walls and consists of a white 3-piece suite comprising a panelled bath with shower attachment over, glass shower screen, pedestal wash basin, WC and a heated chrome towel rail. 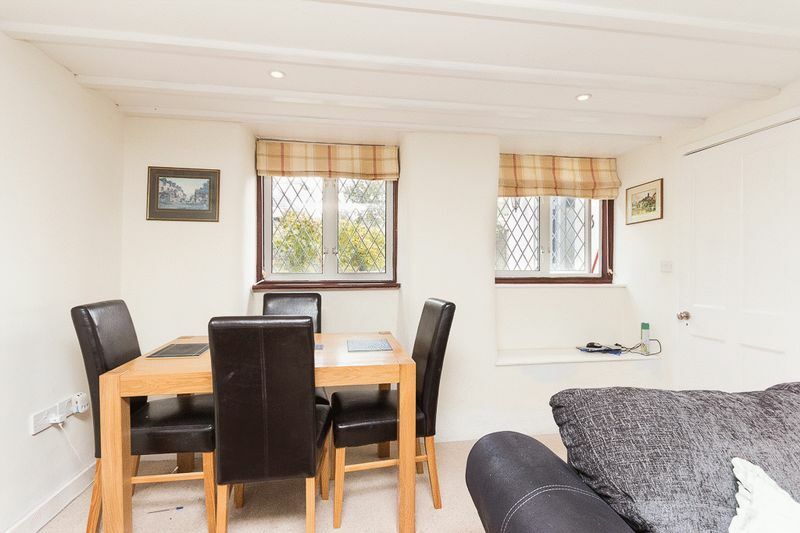 There is a low level double glazed window allowing natural light. 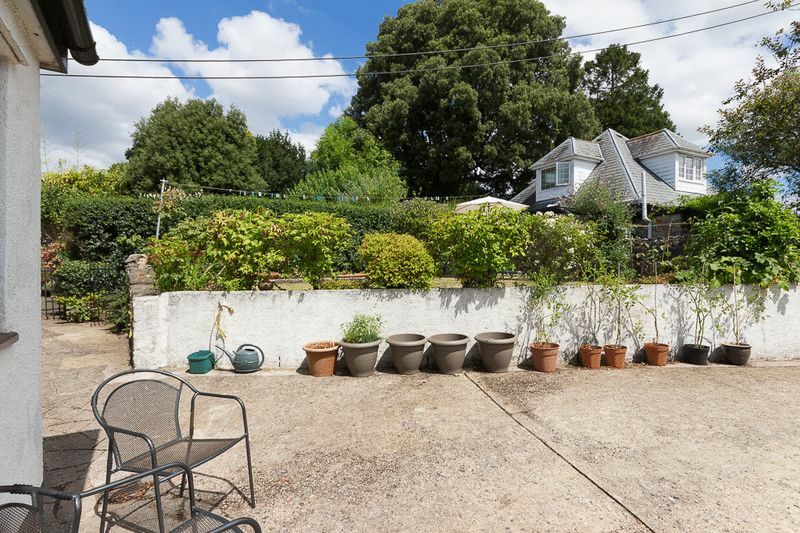 The access road leads to the front of the property and a level, raised lawn area with a variety of established plants, borders and hedging which has clearly been very well maintained and benefits from a great amount of sunlight throughout the sunnier months. 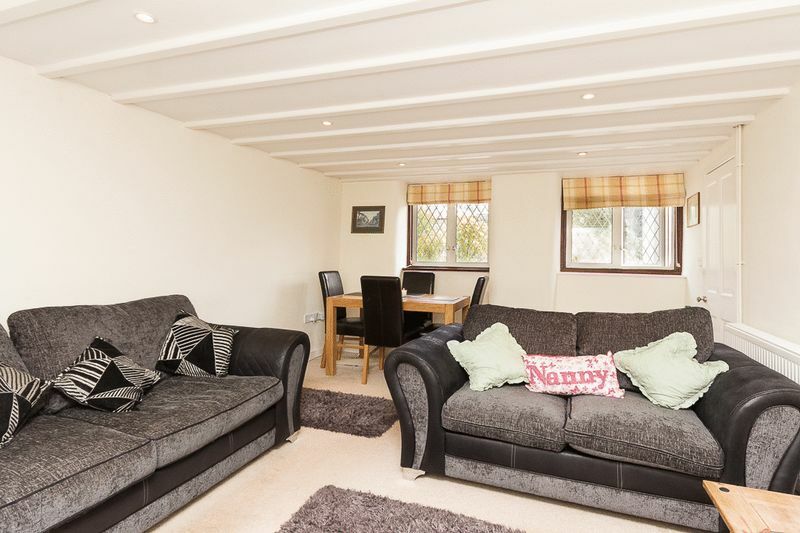 A pleasant space for a table and chairs to enjoy an afternoon cuppa! 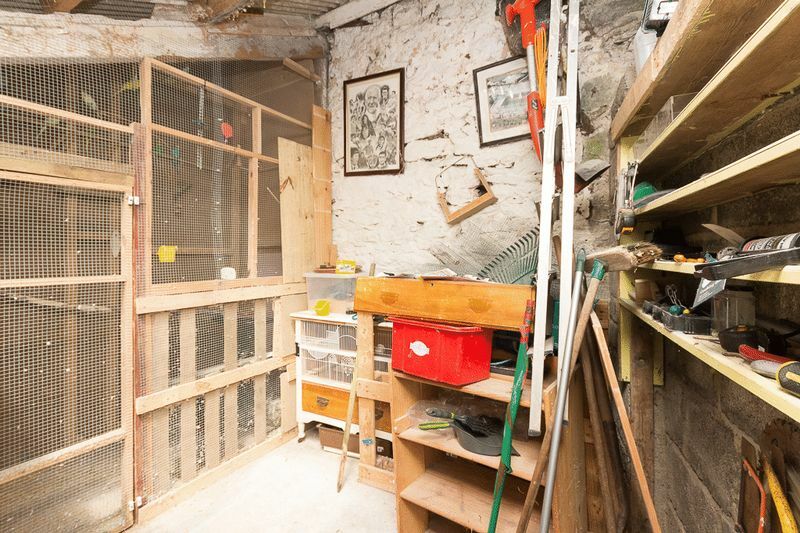 From the garden, a path leads to an outbuilding which provides a generous level of external storage! From our office 31 Fore Street, walk towards the war memorial in the centre of town, bear left onto Old Exeter Street. Continue walking along Old Exeter Street untill you reach The Pheasant B&B, turn immediately left and the property is at the end as you walk down the access lane.